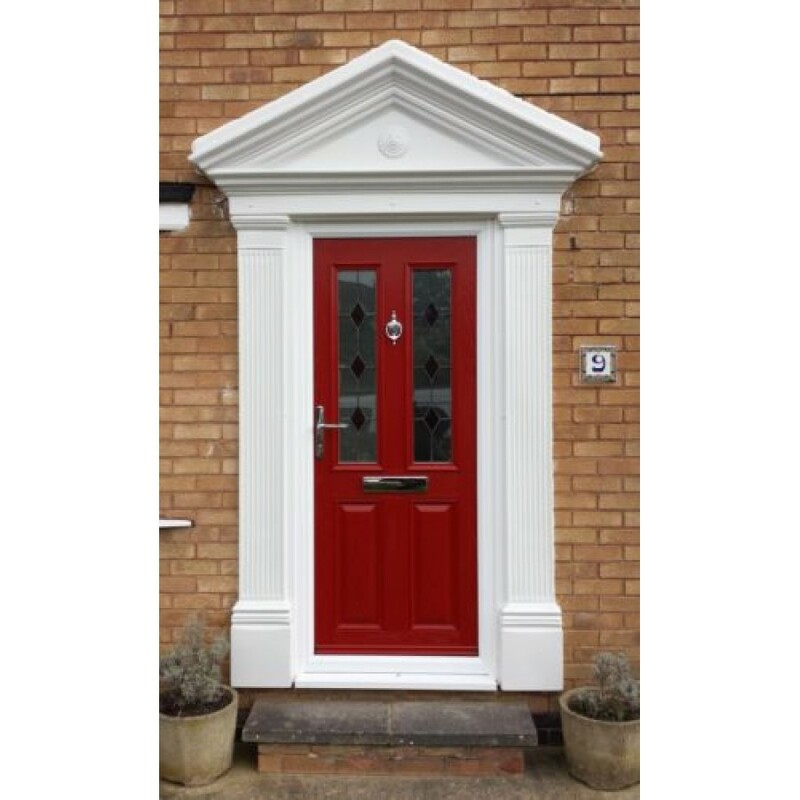 Our popular Victorian Odysseus GRP (fibreglass) Door Surround is made up of two side columns /pillars / pillasters and a pitched victorian style pediment door canopy top with a decorative motif in the centre. 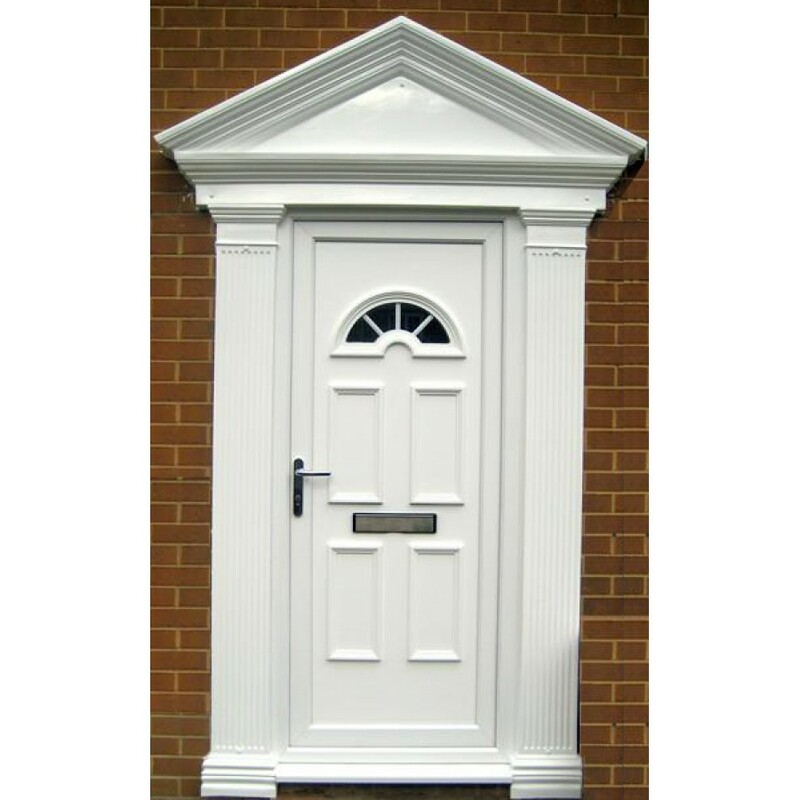 The Odysseus door surround is ideal to replace an existing wooden door surround. or to create an elegant and impressive entrance to your home. Each pillaster can easily be cut to size to allow for different door heights.